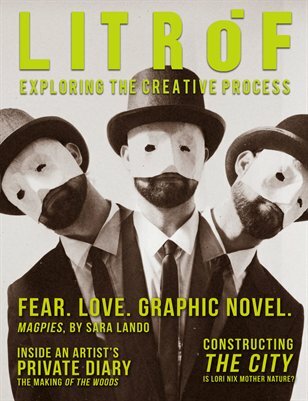 Litróf is the art magazine that explores the creative process. This issue of Litróf largely considers identity and first-person viewpoints, who the artists are as individuals and what their inspirations are in creating their work. There are no planned themes to our publication due in large part to the organic nature of the way the issue is planned. If art is a reflection of life, aren’t artists all creating representations of their unique experiences? The greatest result of that can only be to share that outlook with the world, in hopes of having understanding and compassion returned.